Whether you’re looking to improve a current day trading strategy, improve consistency, or decrease dependence on indicators and software, we will demonstrate what sets Day Trading Academy (DTA) apart based on our Learning How To Day Trade (LTD) Project. 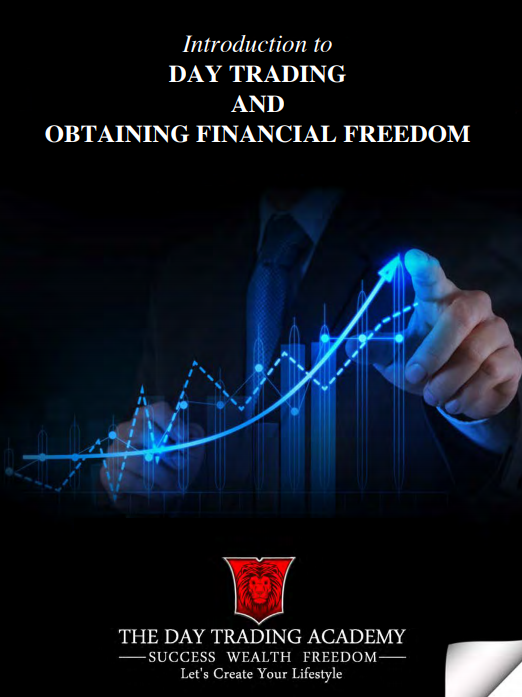 With a combined 50+ years of experience in the industry, our Master Traders and DTA are in a unique position to assist you in achieving your goals and financial independence. For some, it’s the freedom to spend time with their family; for others, it’s not having a boss to report to, or working 12 hours a day doing something they don’t enjoy. Trading not only offers a flexible job, but a flexible lifestyle as well. Our unique trading community has one goal, to teach how the market works in order to be able to rely on yourself and not companies or other individuals . There are a lot of programs and software out there and unfortunately, most of them don’t teach exactly how to understand the market. Many programs sell indicators or software to require us to rely on them to be able to trade. We know because this happened to many of us when we first started training. The concept at DTA is to teach you how the market works so you can rely on yourself to make a great living day trading. That means we aren’t going to try to sell software that you really don’t need, or indicators that you don’t have to use. Feel free to sign up for the email newsletter below to start your new day trading career. The curriculum is split into four sections; beginner, intermediate, advanced, and pro. We take beginners from not knowing anything about day trading to being masters of the markets. We can also take experienced traders that are still looking for consistency, and teach them concepts they may have otherwise not known about. If you want to know more about day trading, have a look at this very interesting and insightful guide to day trading. We go from simple concepts with technical analysis like support and resistance areas, trend lines, price action, to more advanced concepts like trading psychology, emotional intelligence, and high probability trades with at least a 2:1 reward vs risk. The first part of the curriculum is 19 chapters long. The intermediate section is where one learns how to take more advanced setups, learning how to maximize risk management, and even learning when not to take trades and adjusting as well as maximizing profit targets. When you begin your journey, we will teach you the ins and outs of setting up your trading platform, downloading historical data to review, and starting the simulated trading to enhance your market aptitude. Your competency will be built in this environment, so you do not lose your hard earned capital when we make it to the live environment. Our intensive curriculum takes traders from point A to point B; teaching someone that knows nothing about day trading and giving them all of our 50+ years of combined knowledge and tips from our careers in the industry. We organize the information into learning modules, giving students information one building block at a time. We confirm that each student has a complete understanding of the elements that adds to our trading strategy. We are with you as you learn, practice, and trade. Each block allows you to go back and review the intricacies of topics covered, as you advance from a beginner to an intermediate trader. 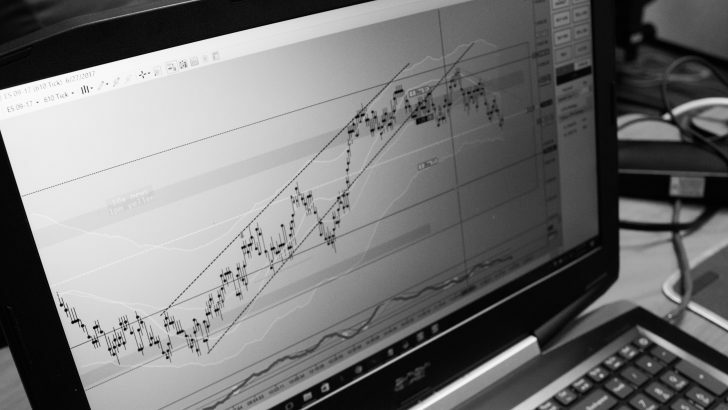 Once you begin applying the concepts and principles, (achieving a level of consistency with legacy trades), we move forward; increasing your profitability in the intermediate section. We have checkpoints through the training process to reinforce all the concepts introduced with homework. Also, there are written, audio, and visual formats to ensure that you learn the easiest and the fastest way. To use a university analogy, we pass the course together by doing lots of little homework projects and tests throughout the year; not just one exam. Students send in their charts (homework) so we can identify potential patterns that may need to be corrected. Working with our Master Trader coaches, you will get feedback on your trading via video, so we can explain and demonstrate concepts visually. Our rules-based approach to trading is extremely flexible for all types of traders. We eliminate all subjectivity by teaching you exactly how the market works. We provide a proven skill set and you choose what you are comfortable with as a trader. In the beginning it is important to follow the patterns we highlight, to gain market aptitude. Once you’re feeling more comfortable, we will begin to make small changes to trade entries, exits, and risk management. We want to take the right kinds of trades, and these guidelines help us determine your trading style so we can increase your consistency. After students demonstrate their ability to read the market, we can incorporate advanced or pro trades. Advanced trades are trade setups that fit the basic rules, but also allow for dynamic profit targets. Pro trades are trades that do not fit the “classic rules”, but are extremely compelling and high probability. The time it takes to go from a simulation account to a funded account will vary from trader to trader, based on their commitment to learning the program. While we have had a few traders begin to trade live successfully in as little as six weeks, these traders are the exception, not the rule. Many of us have full-time jobs, school, families, and other circumstances that will make learning to trade a part-time endeavor. For those reasons, we’ve developed our training program to cater to all, allowing you to pace yourself through our curriculum. We record all of our classes so that you can learn to day trade during nights and weekends. We also have traders around the world to get back with you whenever you have questions or need help. Just imagine the convenience of being able to learn how to trade at night or on weekends! 1. We teach you to truly understand how the market works based on Price Action and NOT Indicators or Software. You will learn price action and never rely solely on indicators or software to tell you when to take trades. This knowledge will serve you for years to come, as you don’t have to worry about what happens if a particular indicator no longer ‘works’. We offer daily market recaps so you can compare your trades with our legacy trades and in-depth market analysis. We want every trader to rely on themselves; not software or indicators in their career. By learning price action, a trader can apply what we teach to any market or index around the world, trade any timeframe, and trade successfully. The market is dynamic and it is imperative to understand how to trade in a strong trend, as well as if the market is not trending. We teach you specific trades and rules to help traders make money whether the market is going up, down, or more importantly, sideways. One of the unique aspects of learning how to day trade is that we can actually make more money when the market goes down than when it goes up. For our beginning students, we understand that trading can be daunting. There is a lot to learn. That’s why we structure our training and mentoring program to start with the fundamentals; establishing a solid foundation for the trader that knows nothing about the markets. This will enable every person in our trading program to learn the basics quickly and easily; and read market movements that everyone should know at any stage of their day trading careers. We’re serious about helping you succeed and limit class sizes in order to provide high level mentoring and the attention you deserve. We know we will not be able to pass our expertise to all our students at once, so our live classes and review classes are recorded in the members area for new students who join. Live classes offer us an opportunity to train a group of day traders and give them the extra insight they need to compete in the futures market. Certain aspects and nuances of the market are better taught in a live market environment, as opposed to after the market closes; where hindsight is always 20/20. Unlike a lot of other trading and training companies out there, DTA traders and Master traders actually trade live and trade their REAL cash accounts. This is an important aspect of learning how to day trade as we do not have any employees, education counselors, nor so called “live trading room facilitators” to teach you. Imagine the difference you would feel by knowing that others are trading live with a strategy that you’re using. The live and recorded classes result in a dramatic reduction to your learning curve, as you will see and hear professional traders evaluate their positions, handle themselves under pressure, and most importantly, how they handle risk management while in the trade. We cannot stress the importance of being mentored from someone who has already succeeded and has been through all the ups and downs that trading comes with. They can then impart their knowledge on to you and you can leverage their experience in a safe environment. This is also part of the unique trading community that we have been able to create at Day Trading Academy. No other companies in the industry allow their students access to their own accomplished traders that are trading their own accounts live. The true goal is to help everyone succeed. How in the world is this possible? We know it sounds completely counter-intuitive, but it has to do with a very important element of trading: RISK vs. REWARD. This refers to the amount of money you are risking on a trade (if you lose) compared to the amount of money you set as a profit target (if you win). After students demonstrate their ability to read the market, we can incorporate advanced or pro trades. Advanced trades are trade setups that fit the basic rules but also allow for dynamic profit targets. Pro trades are trades that do not fit the “classic rules,” but are extremely compelling and high probability. If learning to day trade is something you’re seriously considering, Day Trading Academy is uniquely positioned to get you started. There’s a reason so many DTA students and members have become consistently profitable traders, and many have transitioned into full-time professional traders. Feel free to sign up for our free newsletter below. That’s why we have prepared Day Trading Guides that you can download for FREE.